Size:Measures approx. 2 1/8 inches long including bail/loop, and 1 1/8 inch at widest point. 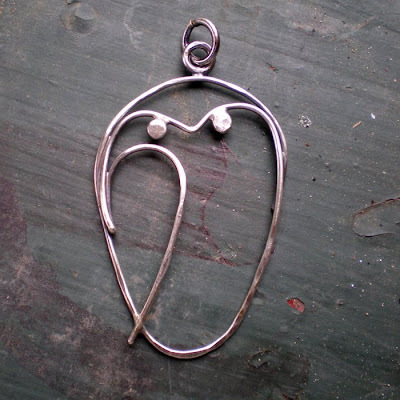 Description: Inspired by a simple drawing done by Picasso, owl is one continuous length 18 gauge sterling silver wire, with the addition of two little eyes.